USA Network has released the first trailer for Season 2 of the breakout hit cyber thriller Mr. Robot. It's a dark, moody, and intense montage of what's to come in the aftermath of last season. Season 2 finds Elliot Alderson (Rami Malek) trying to account for threes days from the night of fsociety’s hack on multi-national company Evil Corp.the consequences of that attack as well as the illusion of control will be explored this season. The series also stars Portia Doubleday, Carly Chaikin, Grace Gummer, Michael Cristofer and Stephanie Corneliussen. The drama won Golden Globes for Best Drama and Best Supporting Actor for Christian Slater’s performance in its first season, as well as a Peabody Award. The acclaimed drama comes from writer and executive producer Sam Esmail who'll also direct all ten episodes this coming season. Mr. 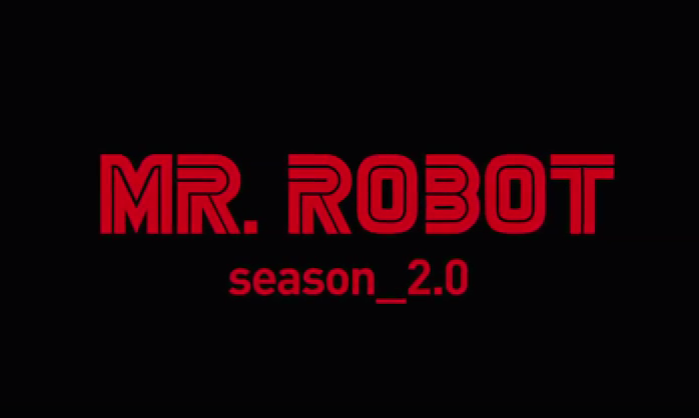 Robot Season 2 will premiere Wednesday, July 13 at 10 p.m.